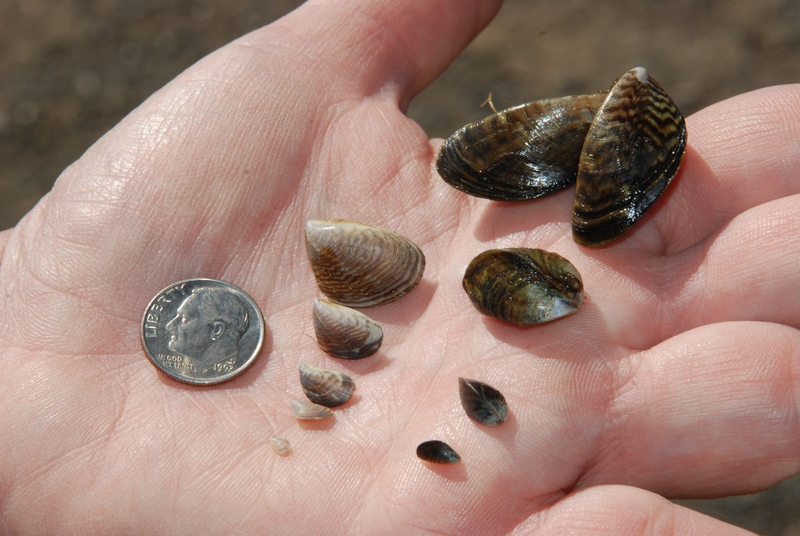 Quagga mussels (Dreissena bugensis) in hand for size comparison. 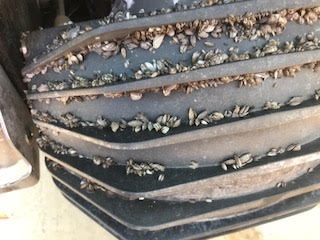 Quagga mussel found on a personal watercraft at the Spooner roadside inspection station on July 18, 2018. 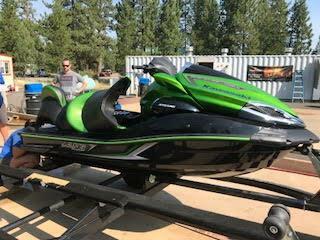 On July 18, the reverse bucket of the personal watercraft was found to have attached adult quagga mussels. 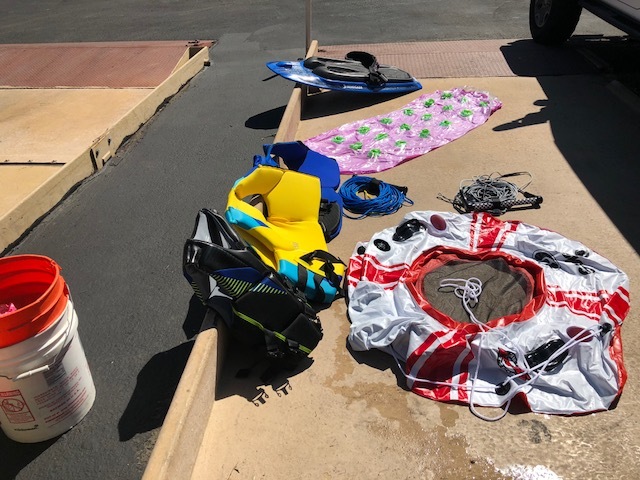 When quagga mussels are found on board a boat, the decontamination process includes a hot water (140 degrees Fahrenheit) wash of all toys, life jackets, skis, wakeboards, anchors, and lines. Quagga mussel size scale in inches. Adult quagga to the far right has smaller mussels attached to exterior of shell.